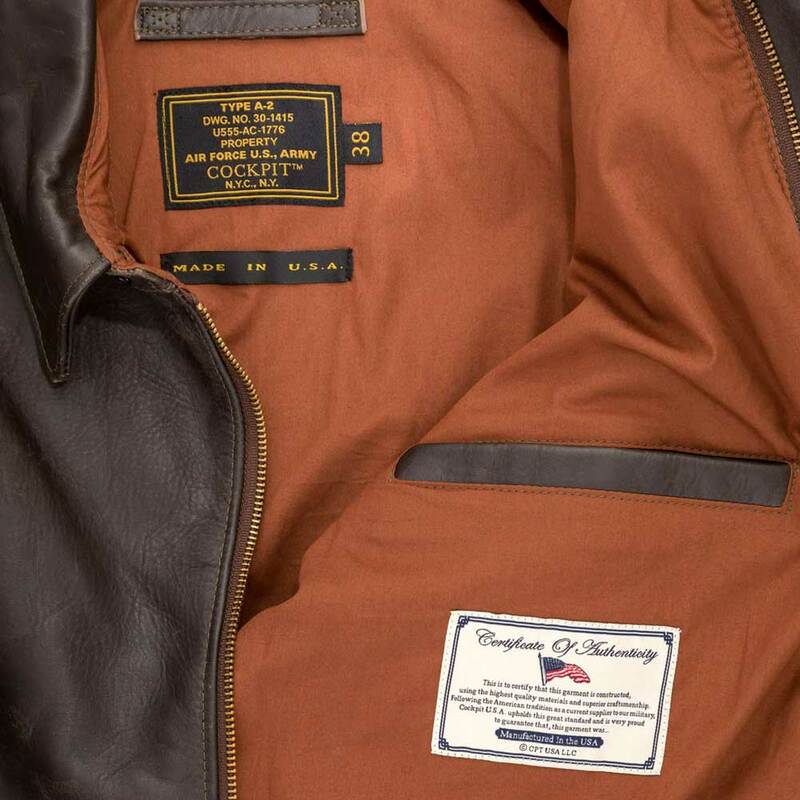 Celebrating Cockpit's 40th anniversary with their limited edition replica A-2. 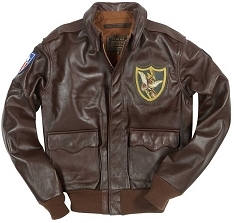 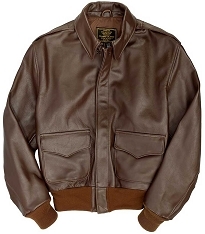 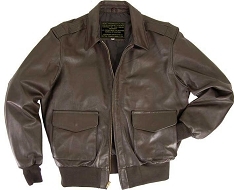 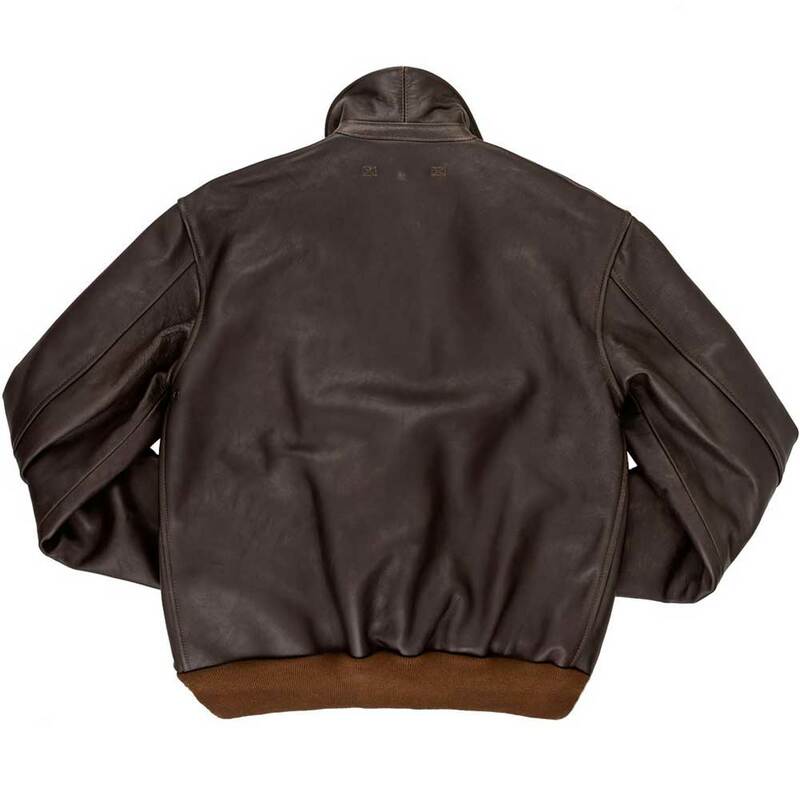 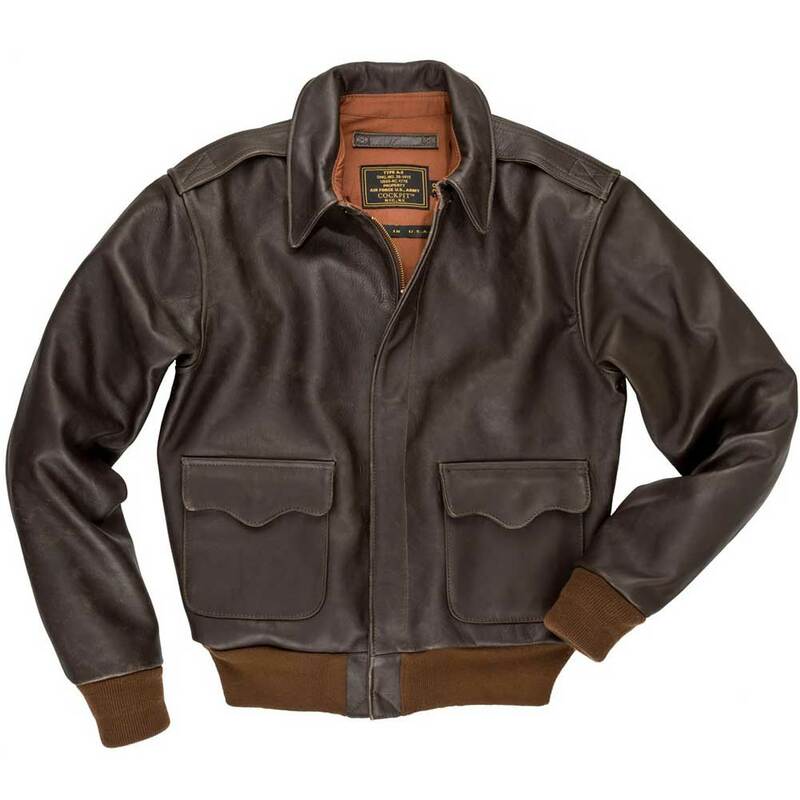 This special edition WWII flight jacket is crafted from specially weathered durable horsehide leather, with contrast olive stitching that stands out to give this jacket just that little extra. 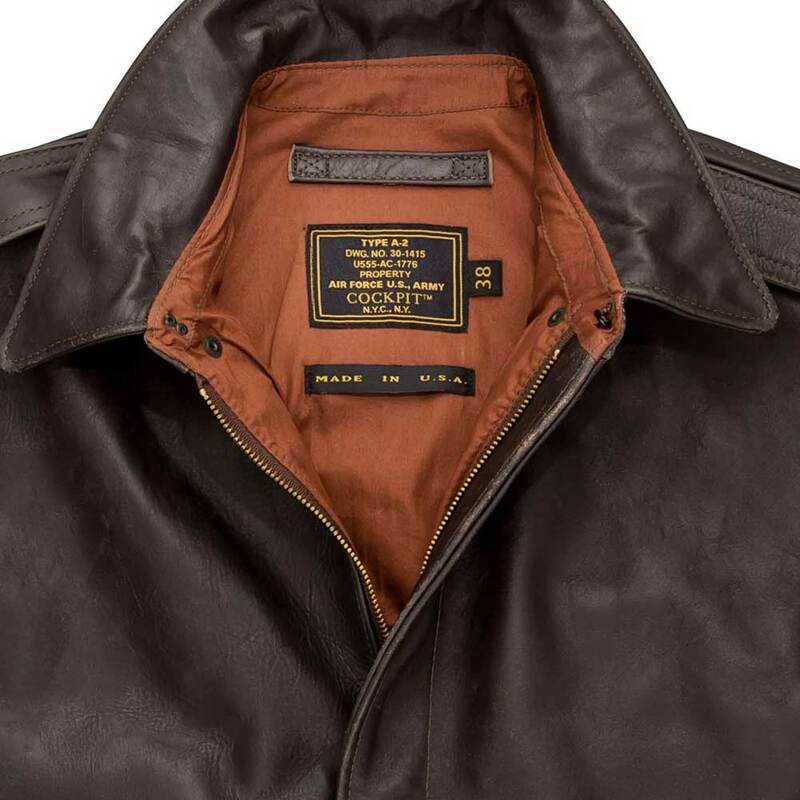 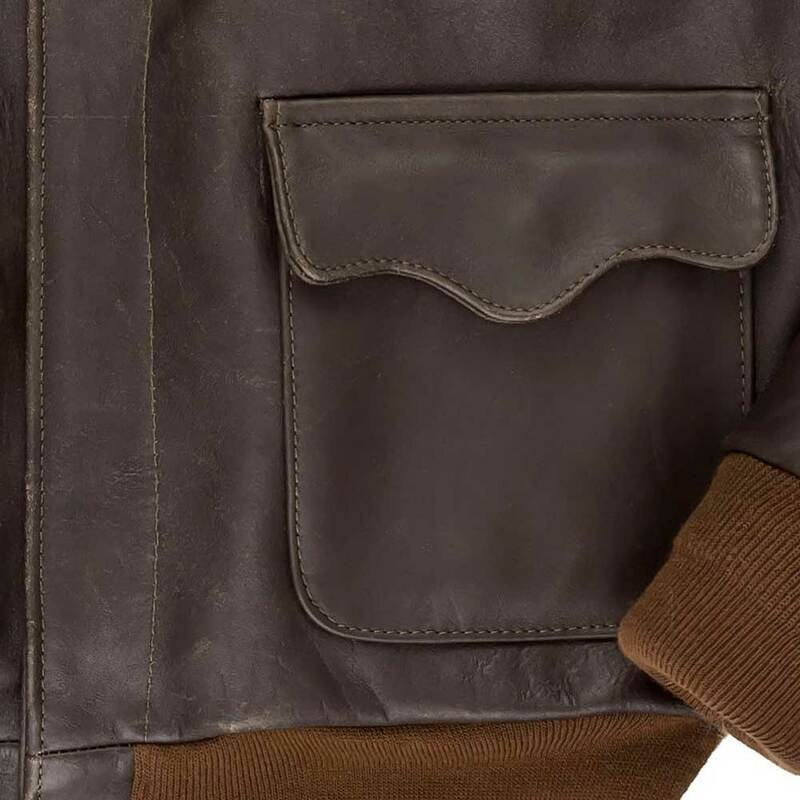 The horsehide leather used for this jacket has been expertly finished to allow your garment to develop a patina, yielding an aged and vintage appearance. 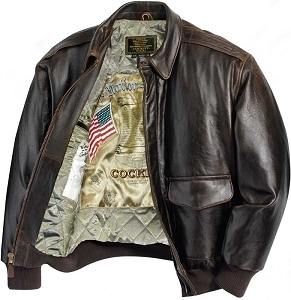 These natural shadings and characteristics are by design and a normal process exclusive to Cockpit USA.